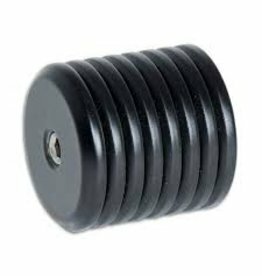 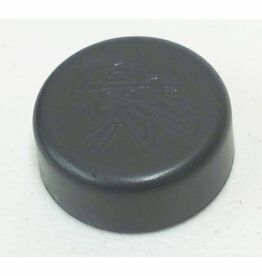 Protect your weights from scratches with this plastic weight cover. 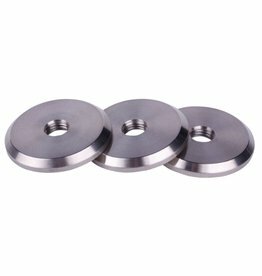 Suits 5/16 threads. 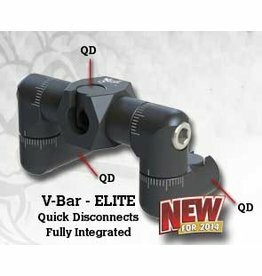 Elite V-bar mount features integrated Quick Disconnects for the front stabilizer and rear V-bars. 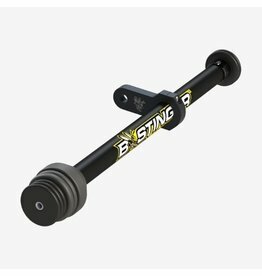 Strong, simple, less weight and easily disassembled for transport. 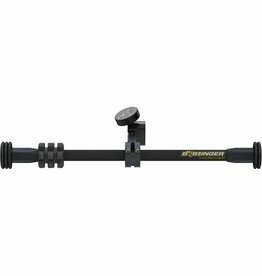 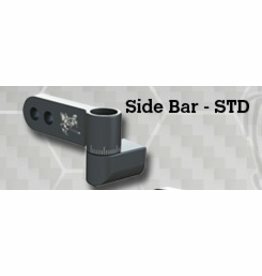 Side Bar Mounts: The one-sided mounts are built to support any size V-bar with any amount of weight, without compromising the rigidity of the connection. 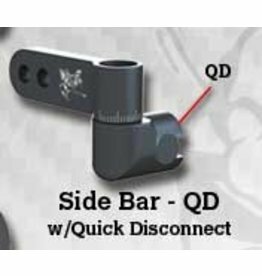 Machined teeth on both side bar elements assure a tight fit and no slip. 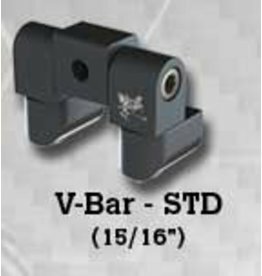 The one-sided mounts are built to support any size V-bar with any amount of weight, without compromising the rigidity of the connection. 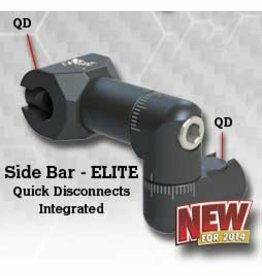 Machined teeth on both side bar elements assure a tight fit and no slip. 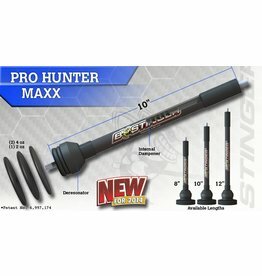 Solid Stack Weights: These weights are a more price efficient way to add lots of weight on your hunting or freestyle setup. 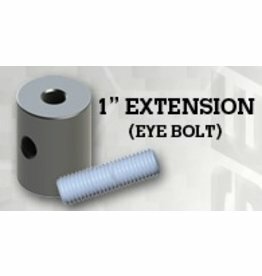 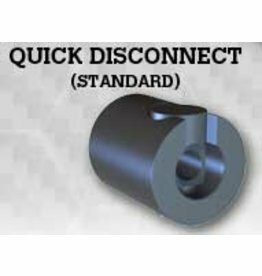 Used as a conjoining system anytime you have to add more than (6) singles on one threaded stud. 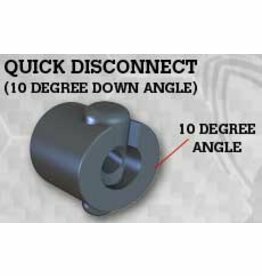 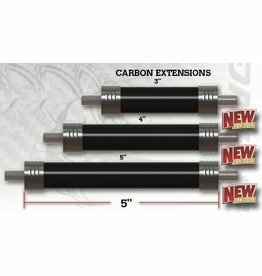 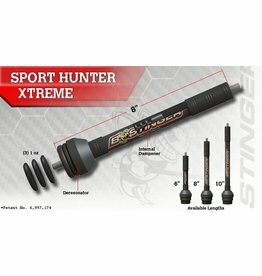 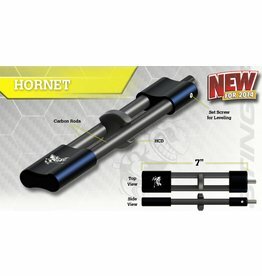 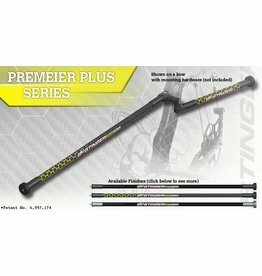 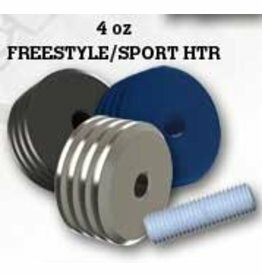 These weights are a more price efficient way to add lots of weight on your hunting or freestyle setup. 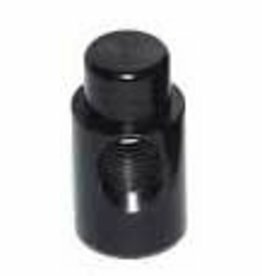 Used as a conjoining system anytime you have to add more than (6) singles on one threaded stud.